Die talentvolle en gewilde blues-sanger en musikant Gerald Clark, ’n oud-Stellenbosser wat ook al in Wellington gebly het, hou op Saterdag 16 Februarie 2019 ’n spesiale konsert op die buiteverhoog van Die Bôrdienghuis by die Breytenbach-sentrum in Wellington. 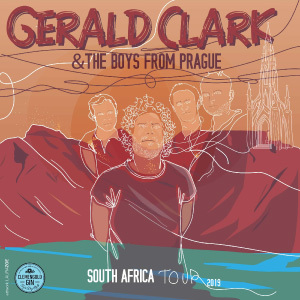 The musicians joining him are some of the finest and most talented Czech Republic has to offer and they regularly serve as backing for international Blues/Country and Folk stars touring in Eastern Europe. They form a formidable backing to Clark’s original songwriting style which is very deeply entrenched with blues and soul tweaked with a twist of folk and country ballads. The audience can expect a very tight,well-rehearsed band with an original fresh sound. A combination of international experience that these boys from Czech accumulated over the years and the magic that Clark has to offer. 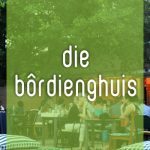 Die vertoning begin om 20:00 en pizza’s en drinkgoed kan van 18:00 gekoop word. Kaartjies kos R150 per persoon. En kan bespreek word by teater@breytenbachsentrum.co.za of 021 873 2786.